Flexible Conveyors have proven to be invaluable in some of the most demanding environments. Renown for flexibility and durability the Flexible Conveyors are perfect for loose loading and unloading applications. Loose loading eliminates ‘dead space’ created by pallets or roll cages. Engineered to the highest standards required to ensure the rigorous demands of dispatch areas, distribution centres and parcel handling hubs. They are a cost-effective handling solution for all industries, large or small. 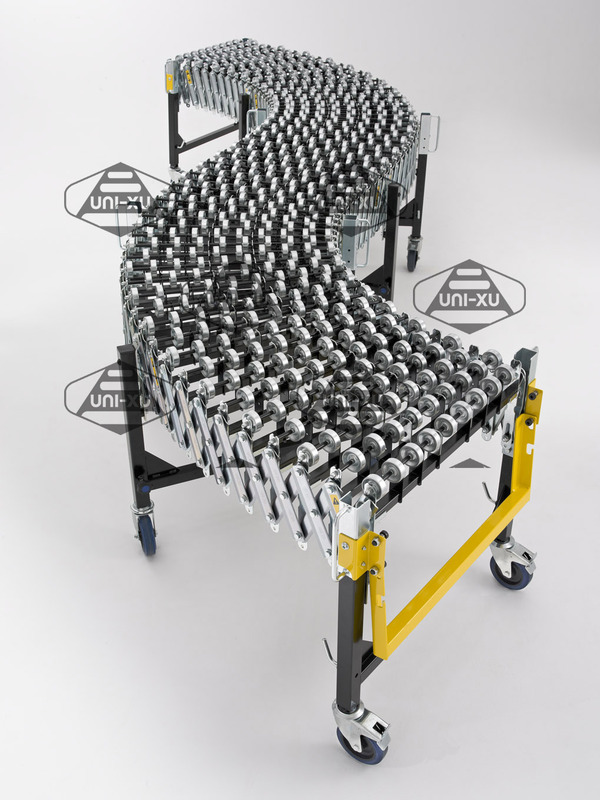 Flexible Conveyors are available as Powered, Gravity and Gravity Skate Wheel and can be quickly manoeuvred, stretched and positioned on braked swivel castors in seconds. Available up to 25m long and they can be compacted to 1/3 of its size when not in use. Perfect for conveying different sizes of boxes with irregular bases or bags. Very easy to quickly manoeuvre in or out of trucks for faster, safer, easier loading and unloading. A rugged conveyor ideally suited for many roles, from packaging and flexible assembly lines to loading and unloading of trucks and containers. The conveyor is easy to move around on heavy duty castors and compacts to a quarter of its size when not in use. Perfect for vehicle loading and unloading, parcel distribution centres, machine to machine linking and all cross-docking applications. Can be easily moved in or out of trucks for faster, safer, easier loading and unloading. Asmech can provide you with a flexible gravity conveyor to obtain the versatile performance that you require. 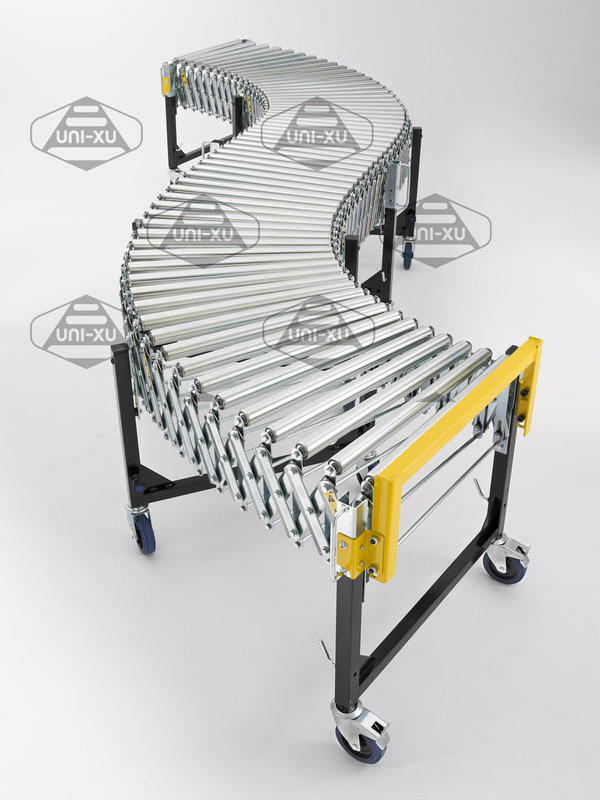 Flexible conveyor systems are generally built on stainless steel or aluminium conveyor beams and have slide rails guiding multi-bending chains. They are often used in environments where obstacles are present so productivity isn’t compromised. It’s possible to place products directly on the conveyor, though you can also add them to carriers and pallets. Industries that benefit from flexible conveyors include the food packing and pharmaceutical sectors, to give just two examples. Flexible conveyors offer a host of benefits to companies operating in demanding environments. Flexible conveyors make the processes of loading and unloading much simpler. At Asmech, we have decades of experience to draw upon when it comes to designing and manufacturing flexible conveyors to meet the requirements of our clients. Flexible gravity conveyors have proved to be particularly popular amongst our clients. We are able to provide bespoke design and installation services and can offer full project management to oversee the creation and implementation of your solution from start to finish. Flexible conveyors are ideal for those seeking a robust yet versatile solution and can offer a substantial return on investment due to the way that they enhance productivity. Our flexible conveyors require minimal maintenance, but you can contact us at any point if you do have any queries about checking for errors and keep your solution in the best condition. We are able to design and manufacture your solution to custom lengths to suit your needs and can offer conveyors for all industries. Talk to us today if you require a flexible gravity roller conveyor or any other type of flexible conveyor. 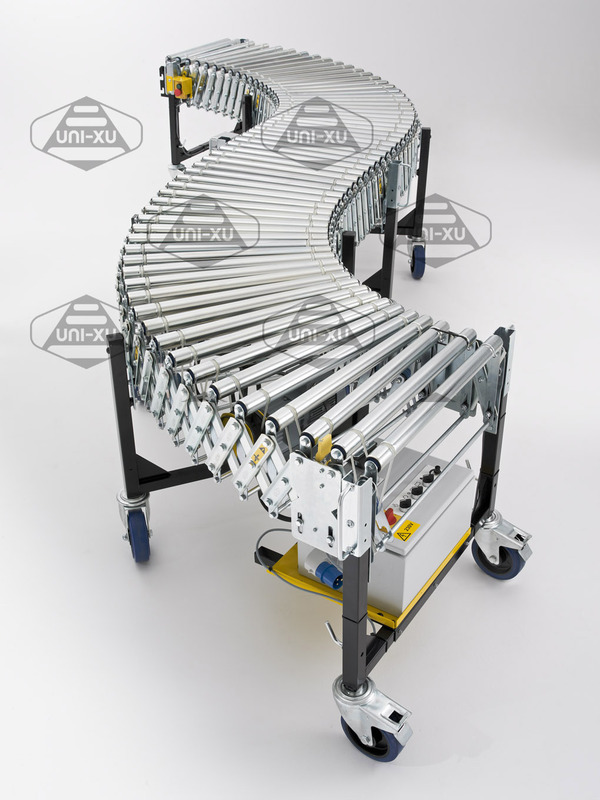 Flexible gravity roller conveyors are ideal for conveying boxes of different sizes, including boxes with distinctive bases. They support quick, safe, easy loading and unloading and can come with PVC or zinc plated steel rollers. We can help you identify the right solution for your needs and budget. Asmech have been in the business for well over two decades. We are passionate about beating the expectations of our customers. We design, engineer, manufacture, install and service all the products in our range and are proud to have a wealth of knowledge which enables us to provide the advice and support you require. Full project management services are available if you are rethinking your work environment. We have provided solutions for some of the most reputable corporations in the world and are confident we can supply the exact system that you require.